It is fitting that Naomi Schor’s papers should be the cornerstone of the Pembroke Center’s Feminist Theory Papers collection. After receiving her Ph.D. in French from Yale (1969) and teaching for eight years at Columbia University, Schor began her long and productive relationship with Brown in 1978, where she was an esteemed professor for eleven years and occupied the prestigious Nancy Duke Lewis Chair from 1985 to 1989. She was actively involved at the Pembroke Center and a founding co-editor of differences: A Journal of Feminist Cultural Studies. In addition to more than fifty articles on French literature and feminist theory and several edited volumes including The Essential Difference (Indiana University Press, 1994) and Flaubert and Postmodernism (University of Nebraska Press, 1984), Schor authored five books: Zola’s Crowds (The Johns Hopkins University Press, 1978), Breaking the Chain: Women, Theory, and French Realist Fiction (Columbia University Press, 1985), Reading in Detail: Aesthetics and the Feminine (Methuen, 1987), George Sand and Idealism (Columbia University Press, 1993), and Bad Objects: Essays Popular and Unpopular (Duke University Press, 1995). 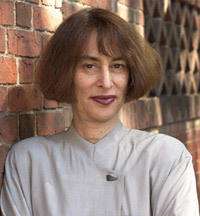 After leaving Brown in 1989, Schor went on to teach at Duke University, Harvard University, and Yale University, where she was the Benjamin F. Barge Professor of French. She was the recipient of numerous honors and awards, including several grants from the National Endowment for the Humanities (1980, 1981, 1990–91) and a Guggenheim Fellowship (1990), and was an elected member of the Academy of Literary Studies (1984) and the American Academy of Arts and Sciences (1997). At the time of her death in 2001, she was working on a book project on universalism. Schor’s exceptionally rich papers not only offer insight into the genesis and development of her work but provide a privileged view of the development of feminist criticism and theory from the 1970s through the turn of the century. Her groundbreaking work, which was instrumental in bringing French feminist theory to American literary studies, is as remarkable for its innovation as for its self-reflective relationship to the changing landscape of feminist and literary theory. If, as Schor once said, she had “love affairs with intellectual ‘ism’s’ – fetishism, idealism, universalism” and, her favorite, “feminism,” they served as provocations, not limits, to her thought.